'Let it go', that popular phrase that became even more popular after Frozen, that by the way I didn't watch yet. I always saw this phrase all over the internet and thought 'yeah okay, but how do I do it'. I guess I just assumed I wasn't capable of doing such thing, that it wasn't possible. But, luckily, things have changed! I can't say I fully understand it yet, but I'm here to tell you that it's possible and I made it. How easy do you let things go? Well, I find it to be a hard task to do and I guess it's because we collect memories and they make us feel attached to moments. Months ago I would spend too much time thinking about the past and wishing for a brighter future, but I was doing nothing at the present to create that future. I was so attached do the past and the bad things that I couldn't enjoy the now. Right now I don't find myself in the past anymore. I wish I had a step-by-step guide to share with you, but I don't. I guess I just decided it was about time do let things go and now they are gone. I realized I had a choice. Now I understand that there's no need to hold on to things that hurt me (daaah!). Those things won't take me anywhere and they were just occupying space on my mind and stopping me to live. Now I understand that some things need to go in order to others come. We need to make space for new and happy things. I feel that starting the blog helped me. When I wrote that first post I was finally expressing everything I wanted and putting it out there. That text wasn't just on my mind anymore and I guess that helped. Now I love it too. Even though the song can get a bit... ear strummy (I don't want to say annoying because though it kind of is, I used to bawl it out loud with friends), it is a good quote. XD I am trying to "let it go", meaning my past, but it's hard. I can totally feel you!! The song, well it got stuck in my head for a long time, but it's quite gone by now. 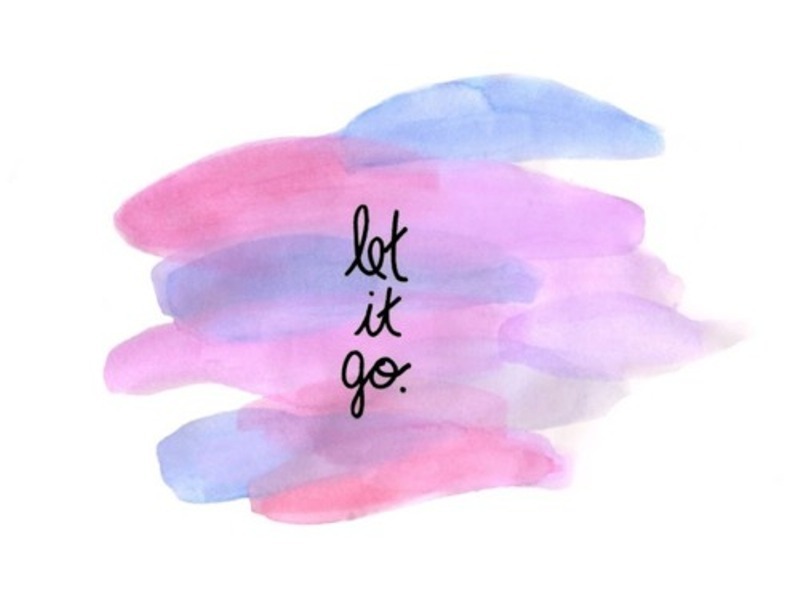 About 'let it go', I know is hard but I can tell you that once it's gone you'll feel much better. If there's anything you need, let me know. I would be happy to help you! !